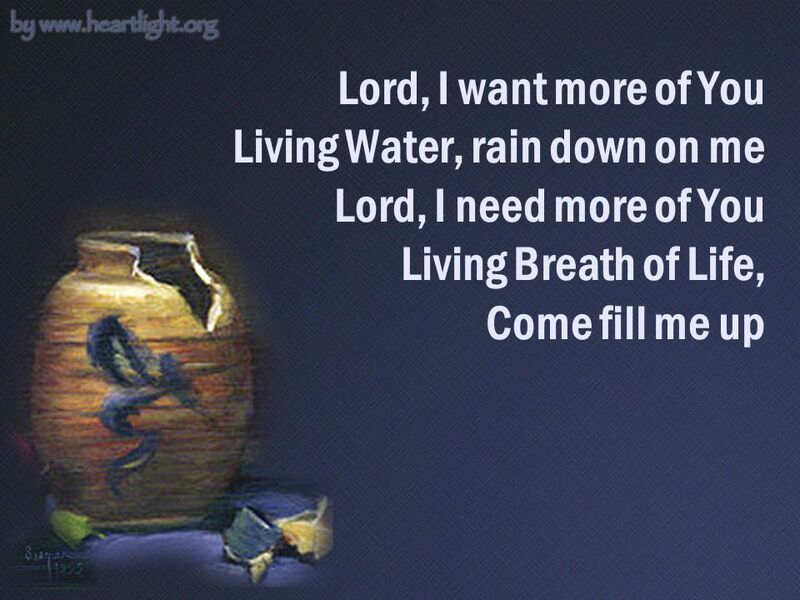 We Are Hungry Lord, I want more of You Living Water, rain down on me Lord, I need more of You Living Breath of Life, Come fill me up. 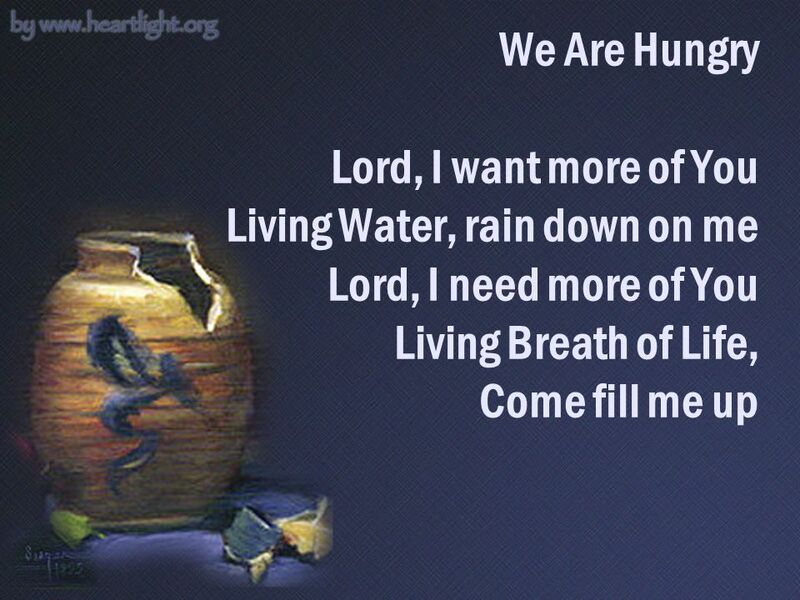 Download ppt "We Are Hungry Lord, I want more of You Living Water, rain down on me Lord, I need more of You Living Breath of Life, Come fill me up." Empty Me Holy Fire, burn away – My desire – for anything That is not of You, and is of me, I want more of You, and less of me. CCLI License No I SURRENDER ALL HYMNAL #451 All to Jesus I surrender All to Him I freely give I will ever love and trust Him In His presence. Welcome to …. 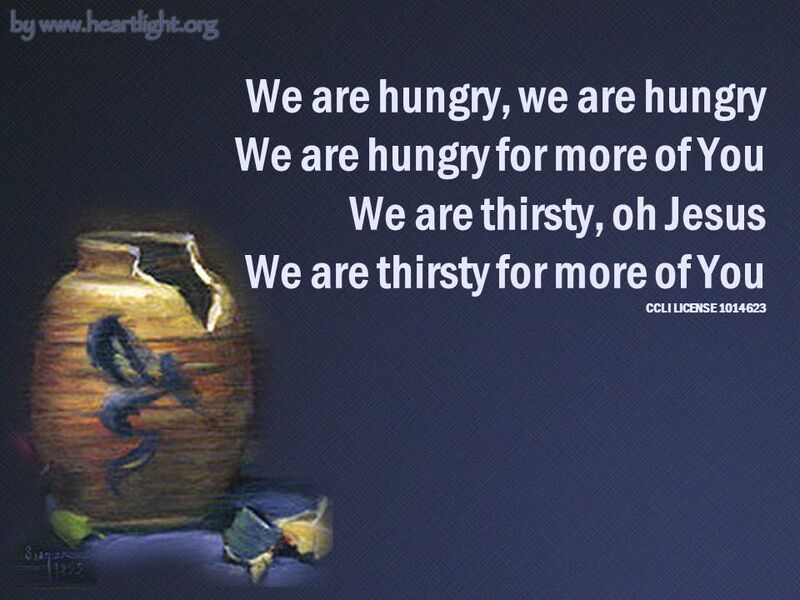 Sing to the king who is coming to reign Glory to Jesus the lamb that was slain. I lift my eyes to You Eyes that have seen a thing or two Who is this Stranger in my life? Holy, Holy 1. Holy, holy, holy, holy, Holy, holy, Lord God Almighty, And we lift our hearts before You as a token of our love, Holy, holy, holy, holy. Holy, Holy. 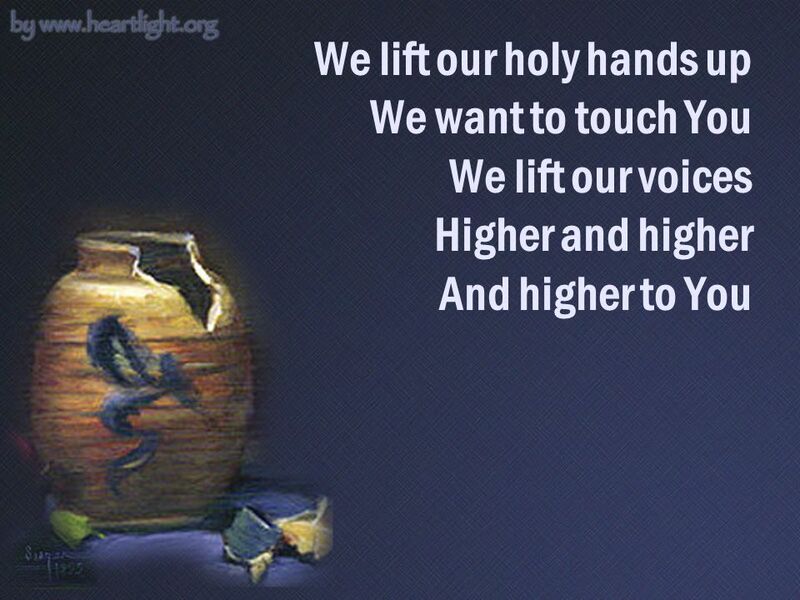 Holy, Holy Holy, holy, Lord God Almighty And we lift our hearts before You Holy, holy, holy, holy Holy, holy, Lord God Almighty And we. Welcome to …. Love the Lord your God With all your heart With all your soul With all your mind And with all your strength. 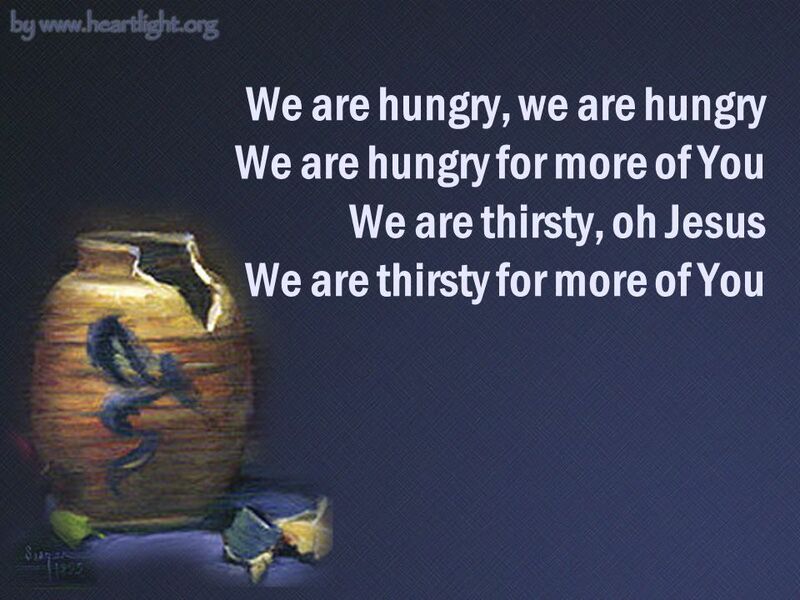 All Who Are Thirsty All who are thirsty All who are weak Come to the fountain Dip your heart in the stream of life. When I think about the Lord How He saved me How He raised me How He filled me With the Holy Ghost How He healed me to the uttermost When I think about.